One of my first mentors in life was a cardiologist named John Stone. Dr. Stone passed away in November 2008, but his memory lives with me and others he influenced. As a college student I traveled from a small town in Ohio to Atlanta, Georgia, to interview Dr. Stone for a paper I was writing on the physician as writer. Dr. Stone had been a well-published poet and essayist, in addition to his career as a cardiologist, teacher, and administrator at Emory University School of Medicine. One of the first things he taught me was to listen to the patient. “Every patient,” he would say, “has their own unique story to tell.” Later I would learn as a medical student that the history was 80% of the diagnosis. The physical examination was much less important than the listening and the careful recording of the story. Hopefully, I am not divulging any trade secrets. Dr. Stone spoke with a gentle calm that was a mix of his Mississippi accent and the life experience of having been around the block a few times. He had the perfect voice for reciting poetry. He was a bearded, overweight man, who always had bags under his eyes. Perhaps the bags were the result of daytime doctoring and nighttime writing, a man who rarely slept. He was a cardiologist who smoked a pipe and used to carry a salt shaker in the pocket of his white coat. These were odd contradictions. He lost his wife of many years to complications of Lupus, eventually married his long time secretary, and died too soon in his sixties of cancer. But he left part of himself with his wife and children, his students, his patients, and his friends. Four years ago, my wife, who was leading a diabetes support group at the time, decided we needed to start bicycling. She could see first-hand the consequences of this terrible disease and did not want diabetes to be part of her life story. I had always enjoyed riding a bicycle growing up, and owned a good bike even through medical school, but had not cycled in years. But I was excited about the possibility of getting back on a bicycle. We bought bicycles and she started a club through her work. Riding with the club meant making new friends and sharing the experience of this healthy lifestyle. I remember the first time we rode 28 miles. It was the annual Red Ribbon Ride to support The AIDS Foundation of the Ozarks. I was worried we were not up to the challenge. Twenty-eight miles was almost unimaginable at the time. We did fine. The 28 mile ride eventually lead to a 64 mile ride (what is called a metric century) to support diabetes research. One hundred mile rides and the MS 150 for multiple sclerosis were just a matter of time. Over the next couple of years my bicycling skills progressed and my enthusiasm for an active lifestyle grew. But I have a competitive nature, and I became bored with the long, noncompetitive rides. Furthermore, I was 10-15 pounds overweight. On the typical bicycle ride that features a food rest stop every 10 miles I was doing more than just refueling. I had not lost any weight. During that time I met a couple of pharmaceutical representatives who had participated in the sport of triathlon. 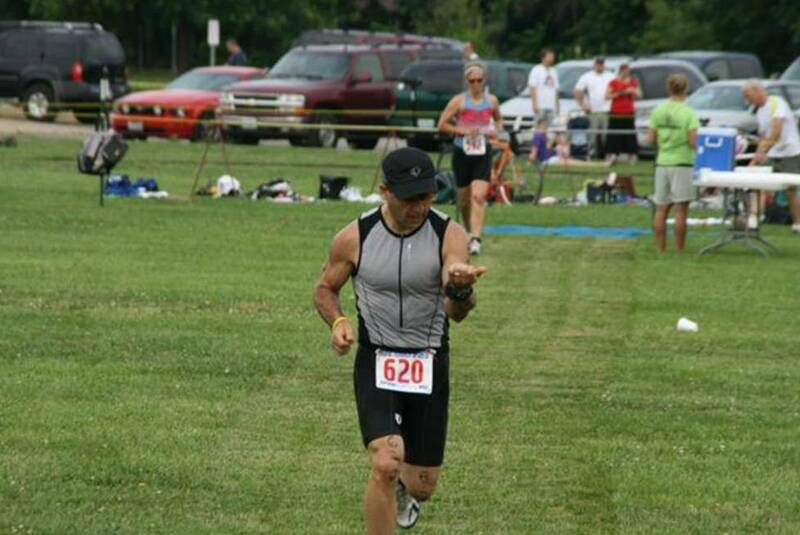 I was amazed at the ability to swim, bike, and run in a race without rest stops. Triathletes must refuel while on the go. It seemed impossible. Then, one day I was in a local bike shop and I saw an advertisement for a youth triathlon in Nixa, MO. According to the way the race was set up if a child participated there would be an opportunity for one or both parents to participate, as well. I brought the brochure home, showed it to my son, and said, “Let’s do it.” We signed up. I started to run and swim. I remember running one mile for the first time and I thought I was going to die. Swimming four laps in the pool was equally taxing. We had about six weeks to prepare for the event. Eventually, I could run three miles. I could swim forty laps in the pool. “I can do this,” I thought, and I did. Gabe, my son, took second place in his age group, and I came in third place among the adult men. I was hooked. 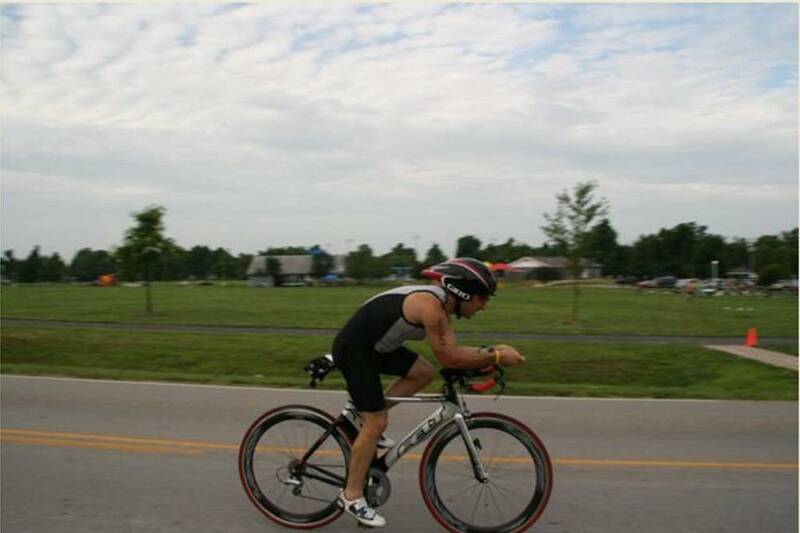 A month later I did my second triathlon in Republic, and I finished the season in early October 2008 in Heber Springs, Arkansas, riding my first dedicated triathlon bicycle and wearing a wetsuit in my first lake swim (rather than a pool). Within a year I had lost the extra weight. In April 2009, my wife who had started us on this journey by forming the bicycle club became a triathlete, too. To date, she has participated in four events known as “half ironman” because the athletes must swim 1.2 miles, bike 56 miles, and run 13.1 miles before they reach the end of their journey at the finish line. (A “full” ironman doubles these distances.) To me, a triathlon is the making of a story. This is my story. This is not a story of illness, to be certain. It is a story about life, about living. We exercise vigorously and we have changed the way we eat. We have both lost weight. We have a whole other group of friends who live this triathlon lifestyle. I feel better than ever and know that at 45 years old my body really is that “temple.” I can nurture it with nutrition, exercise, mental stimulation, meditation, and rest, or I can destroy it by doing the exact opposite. There are no compromises. The American Cancer Society and the American Heart Association have published joint statements clearly stating this fact: Our health is mostly what we do to ourselves. Diabetes, cancer, heart disease, stroke, and even Alzheimer’s disease – we can do much to prevent or lower the risk of these terrible conditions. It is our choice. a stay against time, her reach for the past. Each visit, we review the years. Do you remember him, I ask? No, she answers, softly. No. But isn’t he good looking! she for what I remember. We will all have a chance to tell our story. We may tell our stories—to echo the wedding vows—in sickness to our doctors, in health to our friends, sometimes in surrogate for those who can no longer remember, or in memory of those who are gone. 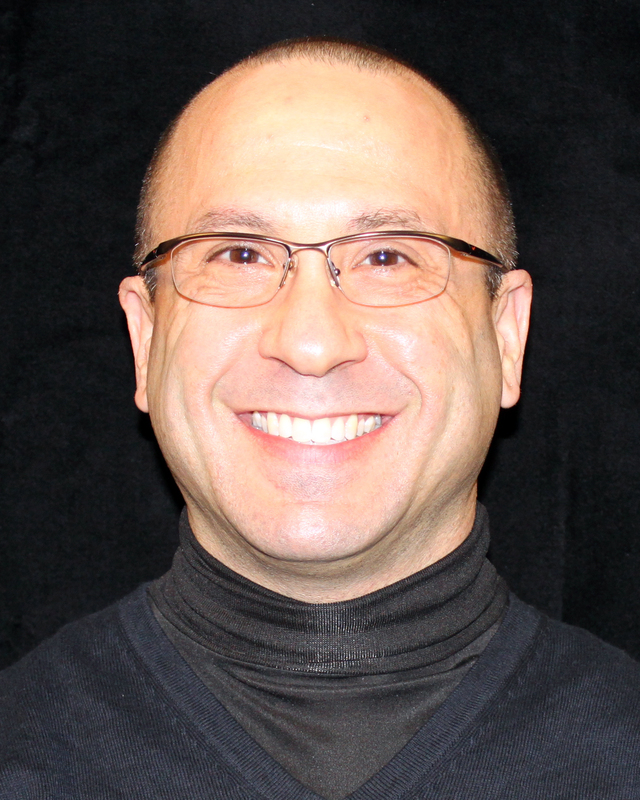 Dr. Sharlin received his degree from Emory University School of Medicine. He is an active member of the American Academy of Neurology, American Academy of Sleep Medicine and American Medical Association. Dr. Sharlin works at Ozarks Community Hospital and OCH’s Christian County Clinic in Nixa, Missouri. To contact Dr. Sharlin’s office call (417) 875-4665 or (417) 724-3100 to reach him in Nixa.